On 24 October 2013 the distinguished historian Professor Sir Christopher Bayly delivered the Macaulay Lecture at Rothley Court, Leicestershire. 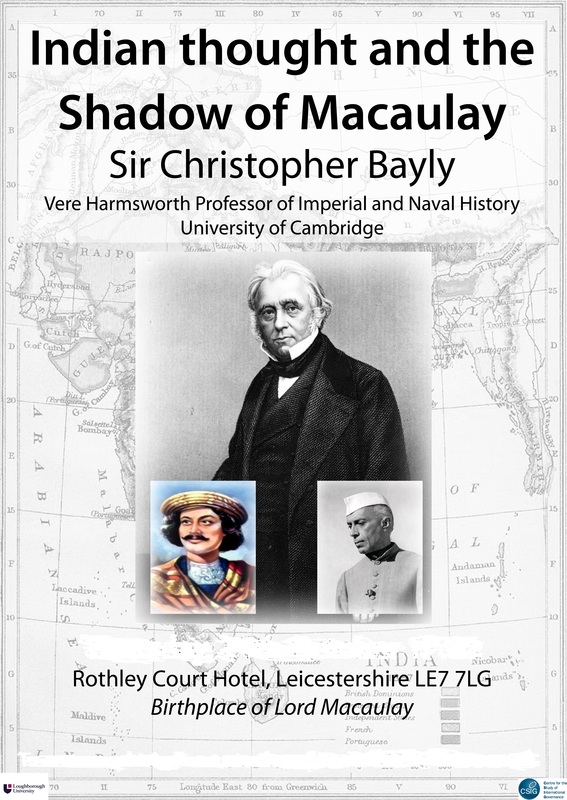 Chris Bayly, until 2014 Vere Harmsworth Professor of Imperial and Naval History at Cambridge, is Professor of History at Queen Mary University, London and Vivekananda Visiting Professor, 2014-15, at the University of Chicago. He is a trustee of the British Museum and was knighted for ‘services to history outside Europe’ in 2007. 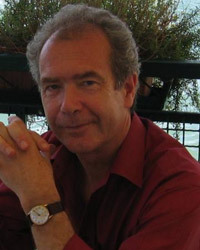 He was awarded the Wolfson History Prize for his book The Birth of the Modern World 1780-1914, which Linda Colley (Princeton) described as one of the ‘most significant works produced on global history in recent years’. In his lecture Professor Bayly explained how Macaulay had become an iconic but sometimes misunderstood figure. He discussed in particular Macaulay’s notorious ‘Minute on Education’ of 1835, which urged the promotion of the English language in India and referred to Indian literature and the Hindu Religion in derogatory terms. After placing Macaulay’s writing in a wider historical context Professor Bayly explained Macaulay’s iconic position in contemporary controversies, including the Taliban attempt to justify the assassination attempt on the Pakistani schoolgirl and Nobel Peace Prize winner Malala Yousafzai. Listen to the lecture and subsequent discussion. Watch a video of Sir Christopher Bayly lecturing in Chicago on ‘Making Hinduism a ‘World Religion’. Thomas Babington Macaulay was born in 1800 at Rothley Temple, which in the Middle Ages had been home to a sect of the Knights Templar, the ‘Poor Fellow-Soldiers of Christ and of the Temple of Solomon’. Although his family moved to London soon after he was born, Macaulay returned often to Rothley. 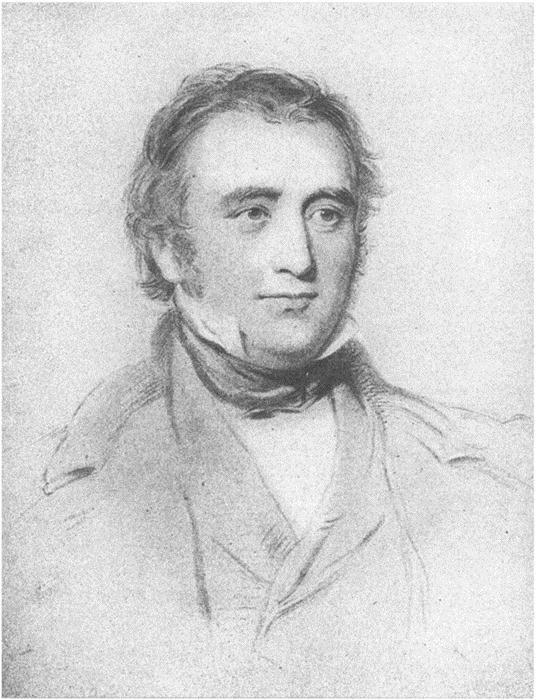 After studying at Trinity College, Cambridge, Macaulay became a leading reforming Whig politician, poet and a hugely popular historian. He wrote a series of popular ballads about heroic episodes in Roman history, including Horatius, about the single-handed defence of the bridge to Rome by the gallant Horatius. His most famous work of history, The History of England from the Accession of James the Second, first published in 1848, portrayed England as ‘the home of civilisation and freedom’. At the time, only Sir Walter Scott and Charles Dickens could compete with Macaulay’s popularity as a writer. However, later readers have not always been so approving of the book. Karl Marx referred to Macaulay as a ‘systematic falsifier of history’ and Winston Churchill took offence at Macaulay’s slights on his ancestor, the Duke of Marlborough, stating that he’d like to ‘fasten the label ‘Liar’ to [Macaulay’s] genteel coat-tails’. Leicestershire historian Terry Sheppard explains the history of the Babington and Macaulay family, with images of Rothley Court and an additional text about its history. On 7th December 2009 Professor Catherine Hall of University College London spoke on the 150th anniversary of the death of Thomas Babington Macaulay about Macaulay and his father as ‘Imperial Men’. Find a summary of the lecture here. Read reviews of Professor Hall’s book, Macaulay and Son, by the London Review of Books, The Guardian and Reviews in History. Read an article on Thomas Babington Macaulay.